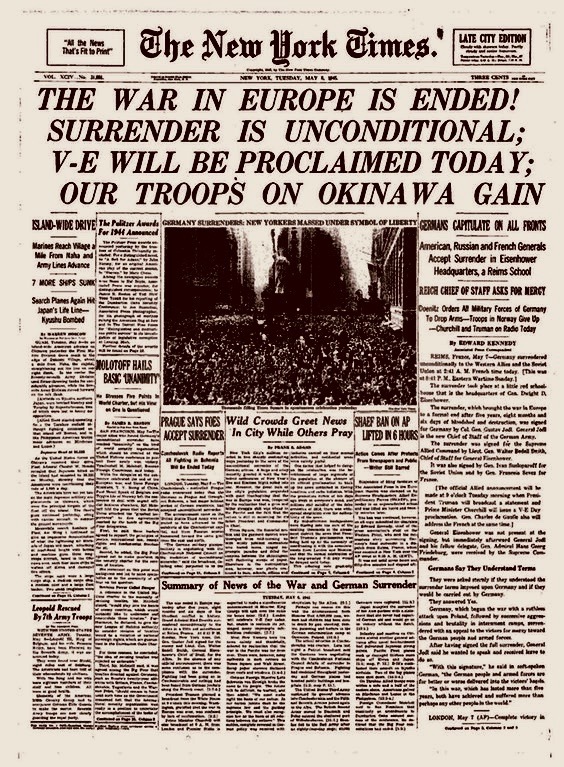 Germany Signs Surrender Documents, Allies Capture High Ranking Germans, German Admiral Doenitz Surrenders U-Boat Fleet, Citizens Of Brussels And Paris Celebrate V-E Day. German Field Marshall Keitel and German General Admiral Von Friedeburg sign surrender documents. Other signers: Marshall Zhukov of the Red Army, American General Sparks of the 8th Air force, British Air Marshall Tedder, and French General De las Degenty. The war in Europe has ended. Scenes of Berlin in ruins..famous Adlon Hotel stands. In southern Germany Allied Troops move to complete occupation of the country. The Eagles Nest, Hitler’s mountain retreat. Much of Munich lies in ruins. Herman Goering is captured….. interviewed by Allied reporters. Also captured were Field Marshal Kesseling, Field Marshal von Runstedt, Hans Frank, former Governor-General of Poland, Field Marshal von Klass, Admiral Horthy, former Regent of Hungary, Seyss-Inquart, traitor of Austria. Lt. General Brandenburger of the German 19th Army signs surrender documents in Innsbruck, Austria, American General E.H. Brooks ratifies another victory. German Admiral Doenitz surrenders his U-Boat fleet. 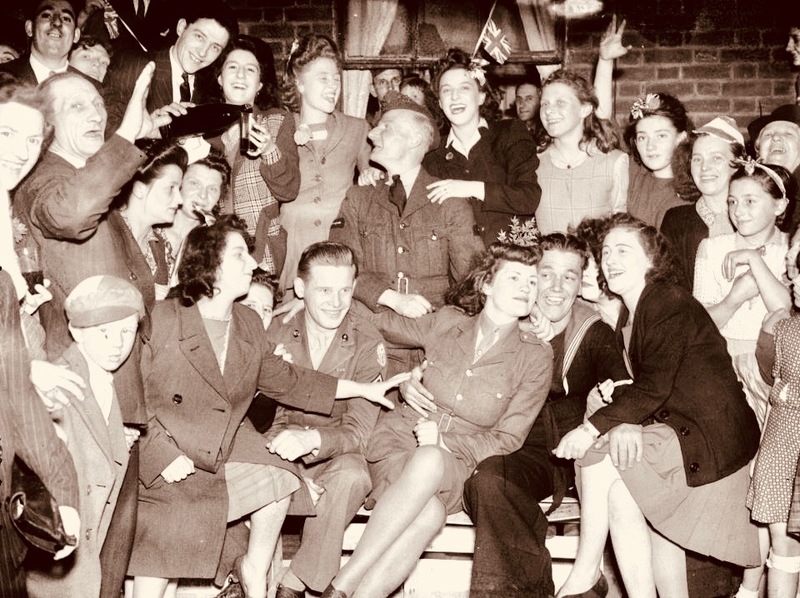 Citizens of Brussels and Paris celebrate V-E Day in the streets. General de Gaulle visits the Arc de Triomphe and the Tome of The Unknown Soldier. General Montgomery receives the German surrender at Lundberg. The British fleet enters Copenhagen harbor. General Montgomery and rides through the streets of Copenhagen. King Christian X arrives for re-opening of the Danish Parliament.